According to our research, it was concluded that 96% of the people plan their travel and holiday schedule by viewing for hotel options over the internet. This gives an opportunity for hotels to increase their visibility and make their presence appealing to such viewers. However hotels that do not have an online presence at all lose out on these prospective customers. Website development is considered to be our forte and we at GoWebly provide our clientele with updated and progressive services. We also provide other web based services like SEO services, online branding and promotion, logo designing and more. Our top rated services are available at best prices. We also offer deals and discounts. Interactive calendars to provide ease to clients to plan their trip. Being a web development company we generate a responsive web page that is easy to the user and is not cluttered. We believe in creating web pages that open of various devices like laptops, smart phones and more. Depending on the client requirement we make static and dynamic websites. 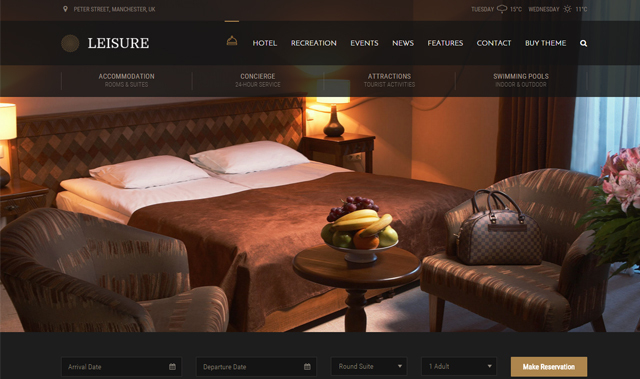 Dynamic websites enable users to pre-book the hotel services using a payment gateway whereas a static website just helps understand the facilities provided. We use the latest HTML 5 coding mechanism for development of the website. We have adopted Content management system (CMS) as an integral tool to ensure quality content published on your website. Through this mechanism the content is well sorted, organised and does not look cluttered. The web pages we design are completely SEO friendly. Our executives incorporate tags and keywords that benefit your company in getting a higher ranking. Our company also conducts various website promotion strategies for more clicks on the website.